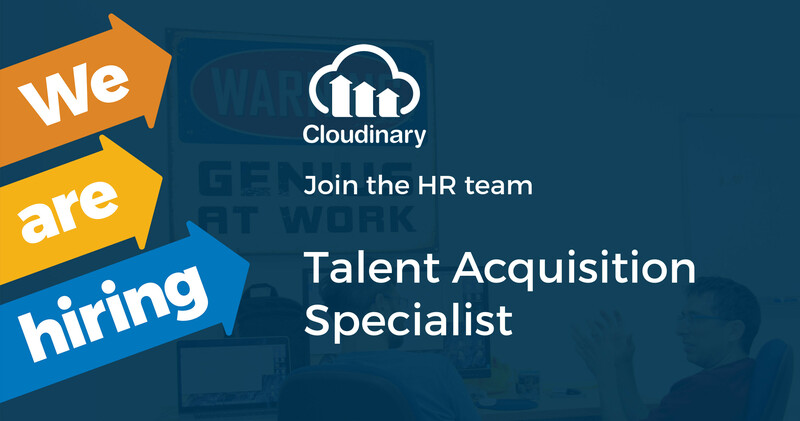 Cloudinary is looking for a seasoned Talent Acquisition Specialist to run the recruiting and candidate experience programs at Cloudinary. The Talent Acquisition Specialist will work closely with all US hiring managers to source high-quality candidates. If you're passionate about finding fun and talented people and scaling an amazing company, then this is an opportunity for you! As a member of our HR team, you will create thoughtful and well-organized experiences for candidates and internal business partners throughout the interview process. You will be a face of the company to incoming employees and represent Cloudinary in a manner consistent with our values. The position requires interest, work ethic and engagement to play a critical role in helping Cloudinary attract and hire the best talent. Joining Cloudinary at this stage will allow you to be a part of a fast-growing environment with many opportunities. This position will be based out of our Santa Clara, CA office.